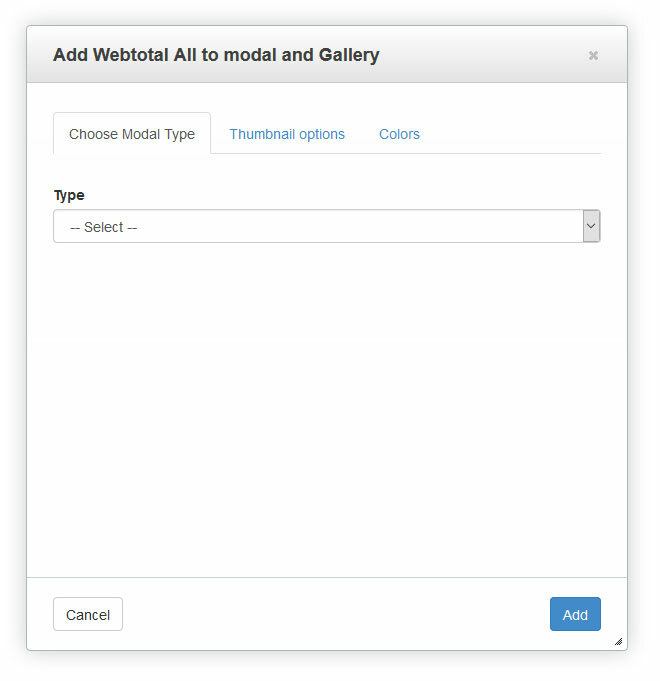 Single image (or text) with a link to 5 different modal types. *Your theme area can’t have a set area grid. Left-right navigation (on modal active) for all blocks inserted on page. If you are developer, take a look at the source code. I try to help with few comments. Align thumbnails (center, left or right) using Edit Area Design where you can insert blocks. Use the same value to thumb width and radius to get a circular thumbnail.